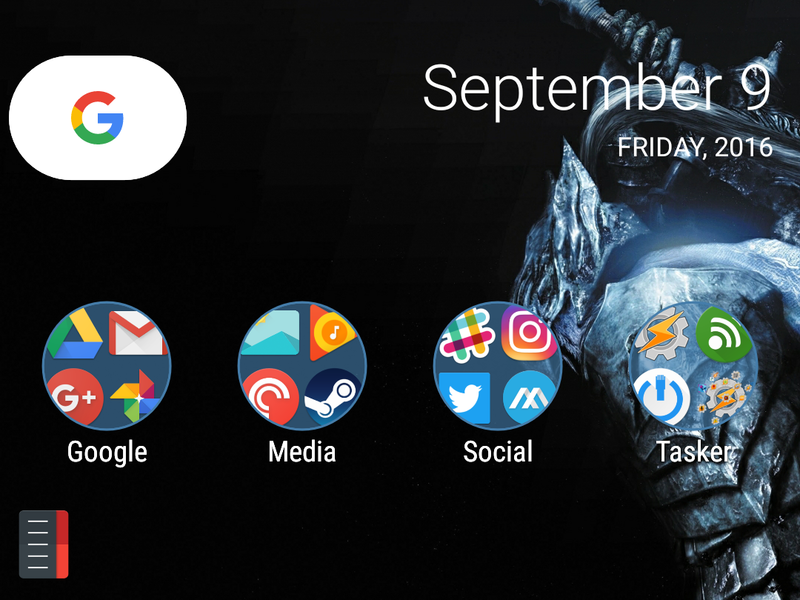 Anyone who asks me what launcher I use will know how much I love Action Launcher. Not only is the feature set massive, but developer Chris Lacy puts a lot of hard work and love into it. The beta for v3.9 that released back in August brought with it some features from the rumored Nexus Launcher, including swipe up for "All Apps" and the Google "pill" and date widgets. Today, Action Launcher updates to v3.9 officially. It includes all of the new things from the beta, as well as a few more goodies. See the changelog below for details on those additions. Integration of Nexus Launcher's rumored All Apps drawer. Swipe up on the dock to reveal All Apps. Two new Nexus Launcher inspired style folder types! Customize the colors of All Apps, folder icons and the dock background via Quicktheme. Add caret (^) page indicator. As you can see, Chris Lacy has worked pretty hard here. Besides the additions, he has also fixed quite a few bugs and quirks. I just updated and I have already implemented a lot of the new stuff, including the new widgets and the Quicktheme for folders. As is usual with Action Launcher, users have plenty of choice on how their homescreen works and looks. Be checking for the update today if you have Action installed, or go give it a shot if you do not.